Claire started at Tally-Ho in 2017 and is our lead farm hand and truck driver. Her oversight of the herd ensures they have optimal care including managing specialized diets, treating minor ailments, monitoring their physical condition, and keeping their living environment clean and safe. 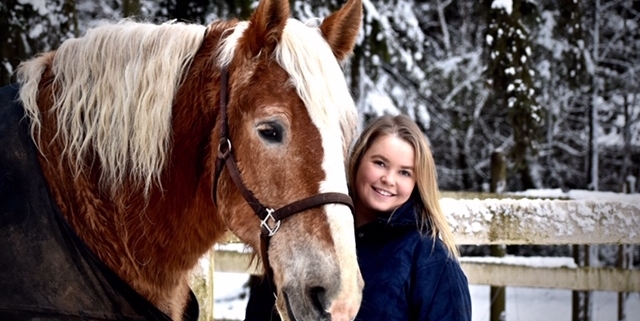 Claire has been working with horses in various capacities for 13 years, including competing for 10 years in show jumping, owning her own horse, and spending a couple of years as a ranch hand/trail guide in Banff. She currently owns a golden retriever named Tika who is 14 years old. Claire has been a part of the horse community for a long time and has worked for/with some interesting people but she says she “loves Tally-Ho because it really feels like I am valued, and it is a small family that is protective and supportive of its members.” She is currently attending school for criminal justice and wanting to pursue a career in behavioral analysis and profiling. 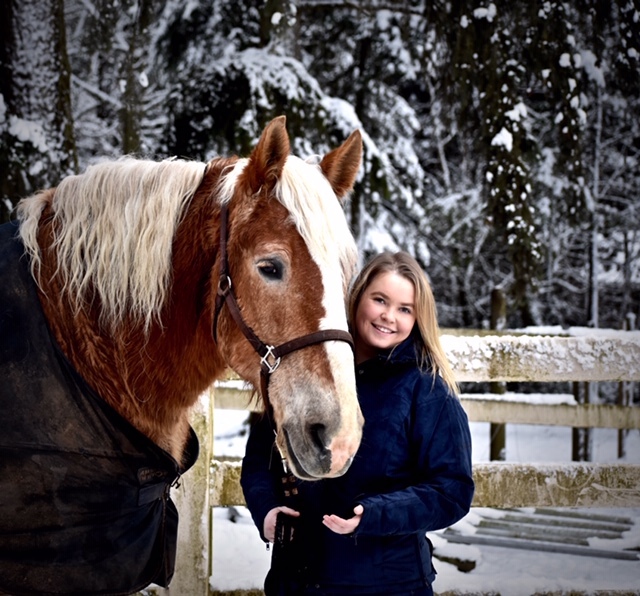 Tally Ho’s Horse Development Program – Part 1: New Horses to Love! Call for availability outside these hours. Please note that all tours are subject to weather. Capital City Tally Ho Sightseeing Company Ltd. • 1960 White Rd. Saanichton, BC Canada V8M 1V9 • © 2019 Copyright. All Rights Reserved. Website Development in Canada by IdeaZone.ca.